The year was 1886, 125 years ago, and Dodge City, Kansas, was on the downside. The Queen of the Cowtowns had seen the Cattle Drive era peak two years before. In fact, a quarantine of Texas cows pretty much ended that industry, meaning Dodge City boasted fewer establishments—saloons, brothels and gambling halls—to cater to the cowboys. 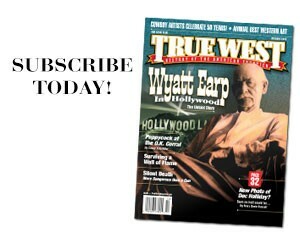 Some of the most famous residents, guys like Wyatt Earp and Bat Masterson, had pulled up stakes and headed out. An Old West fixture was old hat. Then Gunsmoke—both the radio and TV versions—brought attention to the town during the 1950s-70s. Since then, Dodge City residents have been looking for ways to preserve history to spur economic development. 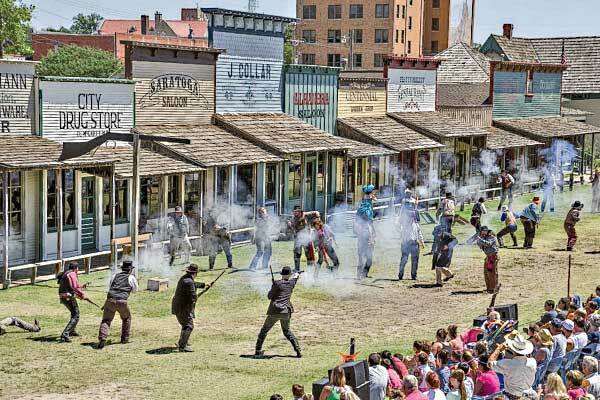 They have done an excellent job, which is why Dodge City is our #8 True Western Town. Dodge City Days, the 10-day festival celebrating local heritage, continues to be a draw with its fiesta and PRCA rodeo. The Boot Hill Bed & Breakfast was named a National Historic Site in 2008 (currently eight other national historic sites can be found in the town). The Boot Hill Museum continues to attract folks with its living history exhibits and original cemetery of the same name. Best of all, the Historic Trolley Tours connect the past and present with stops at feed lots, the Santa Fe Railroad Depot and the National Beef Packing Plant. Yet 2010 may have proven to be a particularly important year for the future of Dodge City and its nearly 26,000 residents. 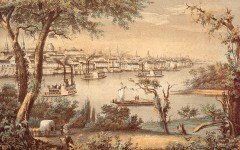 For example, the town’s Main Street program was revived. Its initial charge: to develop a five-year plan for downtown redevelopment that will “recognize work already accomplished, including historic restoration and infrastructure improvements.” The document will create an inventory of the available Dodge City venues and activities. Ultimately, the Main Street effort will help find funding for preservation projects, work with public and private entities on renovating historic buildings, and serve as a contact to similar preservation projects throughout Kansas and the United States. • Apply “Why Not Dodge” status, which allocates specific local tax funding, to the Boot Hill Museum and 1898 Santa Fe Depot (the latter is maintained by the Depot Theater Company). • Obtain National Register status for the Boot Hill Museum. • Establish business incubators to “grow” tourism projects. • Obtain funding ($30,000) for the proposed Dodge City Western Heritage Center. • Initiate historic preservation tax credits. • Renovate downtown building facades to reveal the original architecture. That’s a refreshing suggestion—one that many locales across the American West should heed. 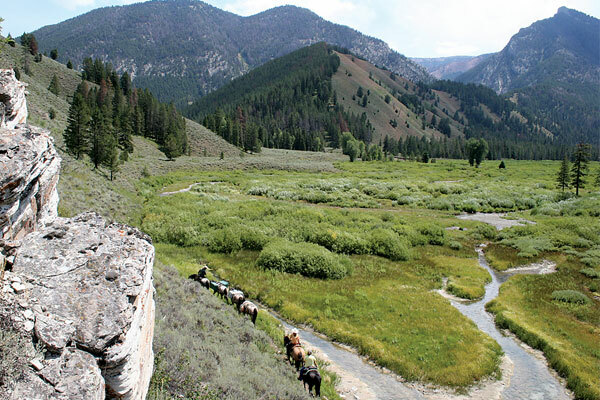 Packing Like the Mountain Men A pack trip in Wyoming’s Bridger-Teton National Forest. An Audacious Adventure Wilson Price Hunt’s cross-country trail-blazing remains inspiring today.